Olly the Jack Russell’s joyously enthusiastic and unique effort in last year’s agility competition at Crufts went viral, with the terrier seemingly negotiating his own course rather than the one laid out for him. This year, Crufts is showcasing the 40th anniversary since the first pooches dodged through weave poles and whizzed through tunnels and over seesaws at the world’s biggest dog show. To mark the occasion, organisers The Kennel Club will be celebrating the fastest growing dog sport in the UK at this year’s extravaganza in Birmingham, which starts on Thursday. 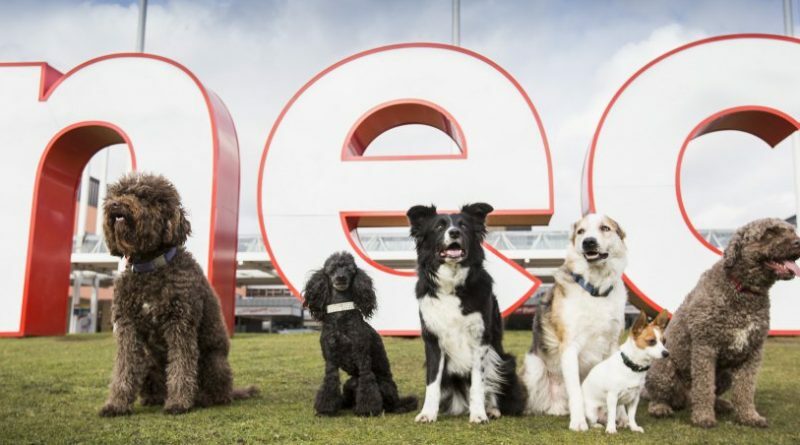 The show will hail all the event has brought to dog lovers and beyond, with six dogs and their owners showing off their agility skills at a special launch event outside the NEC Arena on Tuesday. The Kennel Club secretary Caroline Kisko acknowledged the popularity of agility events is constantly booming and gets more interest with each passing year. “Agility came from a couple of people who ran their dogs in obedience having the idea of running them a little bit like horse show jumping – and it just took off,” she said. “People love it, it soon became competitive and seems to attract more competitors every year – it just gets bigger and bigger. An estimated 22,000 pooches will descend on the NEC during the four-day event, with a record 3,623 four-legged-friends from 49 countries vying for the chance to win the coveted Best in Show. Visitors can learn about 200 breeds at the Discover Dogs zone, while crossbreeds will compete for returning Scruffts crown and the Friends for Life event reminds people about the truly inspiring and unique stories that show dogs at their absolute best. While Olly certainly had his day last year, more dogs will be hoping for their moment in the sun this time around in the agility arena. One person hoping to shine in the spotlight is Michelle Thearle, who will be running her Spanish Water Dog Benji. “It’s really exciting – I’ve been to Crufts a few times before doing a Discover Dogs stand but this is the first time I’m competing in agility with Benji,” said the 44-year-old from Grantham, Lincolnshire. “We all love to come to Crufts – I’m really excited and really proud to have got him here. Another first for 2018 is the Barbet being recognised by the Kennel Club as a breed in its own right. Chris Hewitt is the owner of three-year-old Nell, the only agility Barbet in the country, and the pair showed off some moves at the launch on Tuesday. “It’s great to have her recognised in the UK,” said Chris, from Boston. “So far we’ve had to go to Europe to show them so being here is quite nice. “It probably stops her being called a cockapoo or labradoodle when we’re out with her! “Agility keeps me active – I don’t do much running but the dog makes you do it!